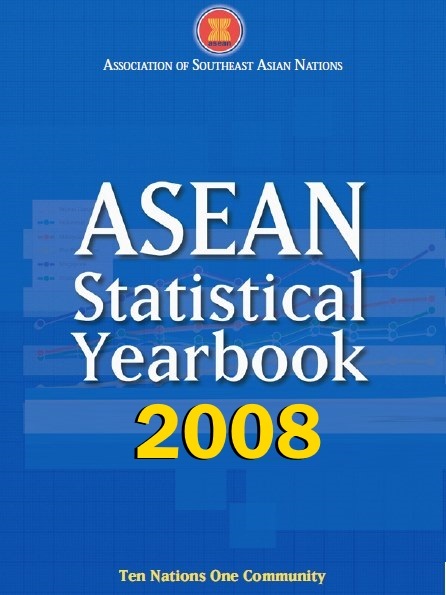 The ASEAN Statistical Yearbook 2008 is now in its seventh edition. It continues to be the leading publication that provides reliable statistics that show the trends and developments about the economies, societies and the environment of the ASEAN Community. The Yearbook details the most up to date available data on international merchandise trade, foreign direct investment, finance, macroeconomic sectors, employment patterns, and tourism in ASEAN and its Member States. The Yearbook also presents cross-section and time series data as well as rates of change, ratios and distribution to facilitate country comparisons. The ASEAN Secretariat will continue to improve this Yearbook as a principal source of timely and relevant statistics on and about ASEAN and the ASEAN Member States. For years the Yearbook has been of great service to researchers, officials, and the business community and I hope that it will continue to be an authoritative source of information and relevant statistics for our readers.